Password [  46.757083] [drm:i915_context_is_banned [i915_bpo]] *Error* gpu hanging to fast, banning! What kind of error exactly is this and how can I remedy it? Browse other questions tagged linux-mint crash kernel-panic magic-sysrq or ask your own question. 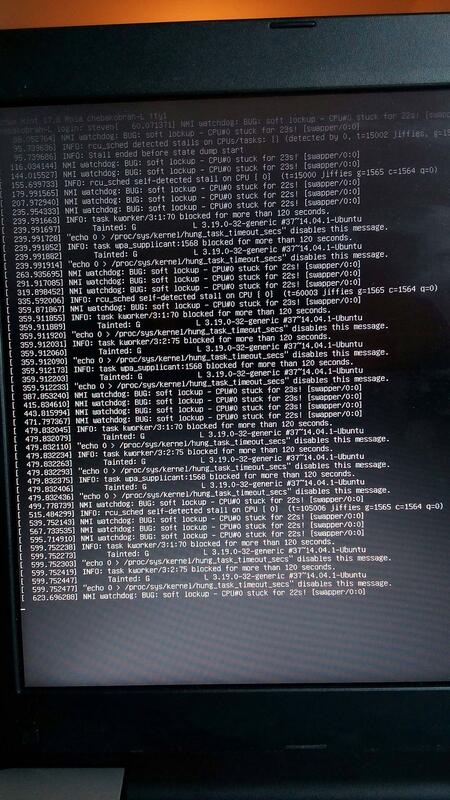 Linux kernel crash: How to gather information? How to analyze a kernel panic messages from crash to diagnose problem?